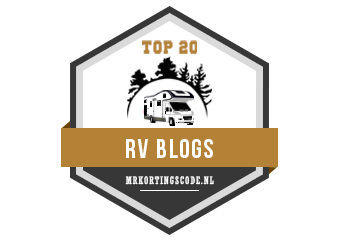 This article is designed to give you an insight into generators that can be used with your caravan or motorhome. This guide has been written in response to some of the questions that have been asked on various forums. Using any electrical equipment outdoors always carries a higher risk because of the increased chance of moisture, accidental damage etc. Please take extra care when using ANY electrical equipment outdoors. Modern electronic equipment is sensitive to the quality of the electrical supply it is connected to. With the development of switch mode power supplies and the components in them, many electrical devices now don’t use a step down transformer and a bridge rectifier to produce the low voltage from the mains voltage that they need to operate. It is now possible to get a low voltage from the mains using just a hand full of components. Hence the rise in “power cubes”…. the little black cube that plugs into the mains socket and has a lead that plugs into your device to charge or power it. If you look at the data plate for the device, you will often see that the operating voltage for the supply is 110 volts to 250 volts, 50 or 60 Hertz (Hz). That means you can plug it in anywhere in the world. Manufacturers make the equipment with a wide operating voltage so the only have to produce one power supply for the whole world market. In the past the manufacturer of the equipment would have produced different equipment models for different countries. Typically it was broken up into The Americas, UK-Australia-NZ-Japan, Europe, Asia. The normal way of powering these units is via mains (utility) supplied electricity, which is generally stable for voltage and frequency. In the UK, it is 240 volts RMS (more about RMS later) at 50 hertz. On the continent, it is usually 220 volts at 50 hertz. As it comes out of the socket or EHU post it is a pure sine wave and the voltage and frequency (hertz) are controlled very precisely by the utility company. Now, to get this same electricity on a camp site for your caravan or motorhome, there are three ways of achieving it. The first is the simplest… just plug your caravan or motorhome into the EHU bollard. This will give you a supply exactly the same as it is at home and will only be limited in capacity by the circuit breaker supplying the bollard, usually (in the UK) 16 Amps or 10 Amps. On the continent, this may well be limited down to 6 Amps or even 3 Amps. The second, is via an inverter run off your leisure battery. Inverters take one form of electricity and convert it in to another. The most usual type of inverters take 12 volts direct current – as supplied by a car battery or leisure battery and convert it to 220/240 volts alternating current (AC). The output of inverters is not always the same as the electricity supplied by the utility companies. Cheap inverters will achieve the alternating current by simply switching the voltage/current from one direction into the opposite direction in steps by literally switching it electronically 50 times a second or “inverting” it. 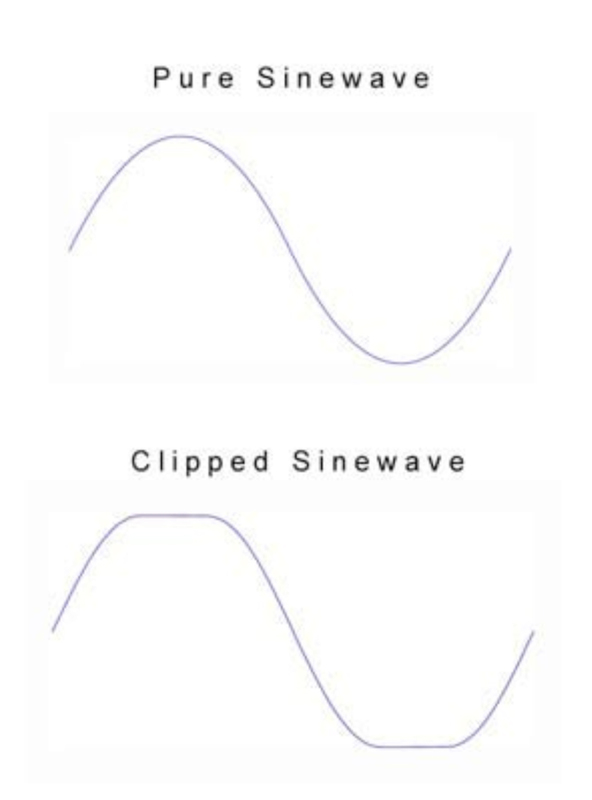 If you look at the shape of the waveform, rather than a nice smooth curve, that we saw for the mains electrical supply, the shape is a step or a “modified” sine wave. Most domestic electrical equipment (kettles, toasters etc) is quite happy running on this modified sine wave, unfortunately, a lot of electronic equipment, including microwaves and TV’s is not. Plug in your laptop power supply, LCD TV, Satellite box to a cheap modified sine wave inverter and it will probably be the end of it. Ok, there is a third way…. Generators work by having a small engine that can either run on petrol or gas (propane or butane) driving an alternator, which in turn generates electricity. You have an alternator in your car usually driven by the fan belt. It generates electricity when your engine is running to power your accessories and charge your car battery. Vehicle alternators are usually three phase (some high performance units for 4 x 4‘s are 6 phase) and have a set of diodes (electrical one way valves) to convert the three phase alternating current into the direct current to run your cars electrical system. The standard petrol or gas generator still has an alternator, only this time, we use the AC output directly from the back of the alternator. On cheap generators, the alternator is single phase and generates the 230 volts without any additional electrical components. The output from these is usually only suitable for running electrical drills, tungsten lights etc. and can be very “electrically” noisy. On the more expensive petrol or gas generators, the alternator is three phase, still generating at 230 volts, but will have a simple electronic circuit to combine the three phases to produce a single phase output. These tend to be more efficient, and often will have a slightly higher output for a given engine size than the cheap single phase alternator equipped generators. 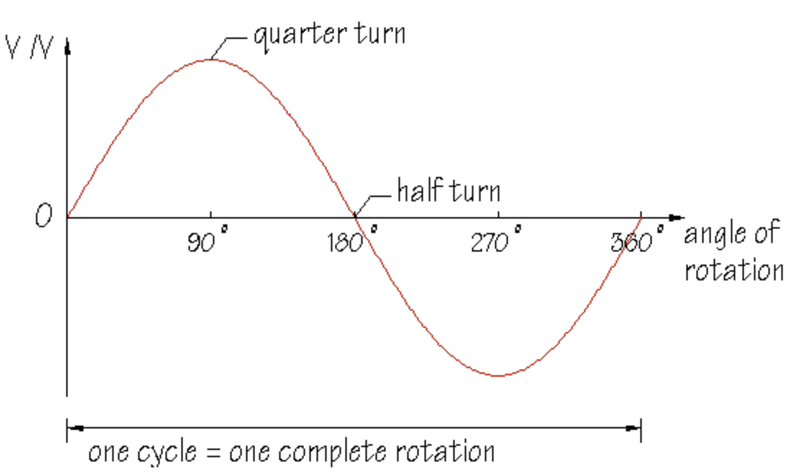 Have you ever wondered about the sine wave shape? Well that is created as the coils of the alternator spin past the magnetic lines of force. As the coil gets nearer to crossing the magnetic line of force pole, the amount of voltage generated increases, hence the start of the line of the sine wave increases, then as it cuts through the main magnetic pole at 90 degrees, the maximum voltage is generated and as it gets further away the amount of voltage generated decreases…. as the other side of the coil moves through the magnetic lines of force, the voltage is generated in the opposite direction in exactly the same way…. this gives the sine wave it’s distinctive shape and is always nice and smooth. This happens 50 times a second and the frequency is linked to the speed (RPM) of the alternator, slow the speed down, the frequency will drop. On a big generator that the utility companies run, the RPM of the alternator is closely monitored to give an exact frequency. On your small generator, this is not always the case. As you put more electrical load.. i.e. connect things to it, it takes more energy to move the wire coils of the alternator past the magnetic poles within the alternator. On a really cheap generator the small petrol engine is asked to do more work in keeping the alternator turning and it starts to slow down, therefore the frequency will reduce and the voltage will drop as the coils are now not passing the magnetic poles at the same speed. The generator will sense this ( usually a small coil with a plunger inside connected to the carburettor) and via a mechanical linkage, open up the throttle on the engine, letting a bit more petrol through and increasing the speed of the engine. The frequency and voltage will fluctuate as the load changes on the generator. This is also compounded by the fact that small single cylinder petrol engines don’t maintain a stable speed even with a stable load on them, they tend to “hunt” within a given RPM range. Spend a few more pounds on your generator and they have a small feedback circuit on the output of the alternator that increases (or decreases) the voltage across the field coils which effectively ‘regulates’ (increases or decreases) the output voltage. These type tend to be a little more stable with less fluctuations in the output voltage. So to sum up, a generator going on to full load will reduce frequency and reduce voltage. As it comes off load the frequency will increase along with the voltage. This is a problem, so how do the generator makers get round this? Well, the frequency is not to much of a problem for 99% of equipment. The issue for the generator manufacturers is to stop the generator’s voltage rising too much or dropping too much, so they get round it in a rater simple way. Instead of generating the correct voltage – 230 volts, they use alternators that generate about 300 volts and use an electronic circuit to “clip” the voltage. This clipping stops the voltage rising above a preset limit – usually 230 volts and because the alternator is generating a higher voltage, if it does slow down due to additional load on it, then the voltage should still be above the clipped limit, therefore maintaining a relatively constant output. If you look at the output of one of these generators you will see that the nice smooth sine-wave is now flattened top and bottom. This is known as a clipped sine wave and some electronic equipment is not happy with this as it was designed to accept a nice pure sine wave. Microwave cookers are one piece of everyday equipment that don’t like clipped sine waves, as they rely on the peak voltage to operate correctly. OK, to go further, we are going to have to get technical and delve into Peak and RMS voltages! The Peak voltage (Vp) is the voltage measured exactly at the top (or bottom) of the sine wave. 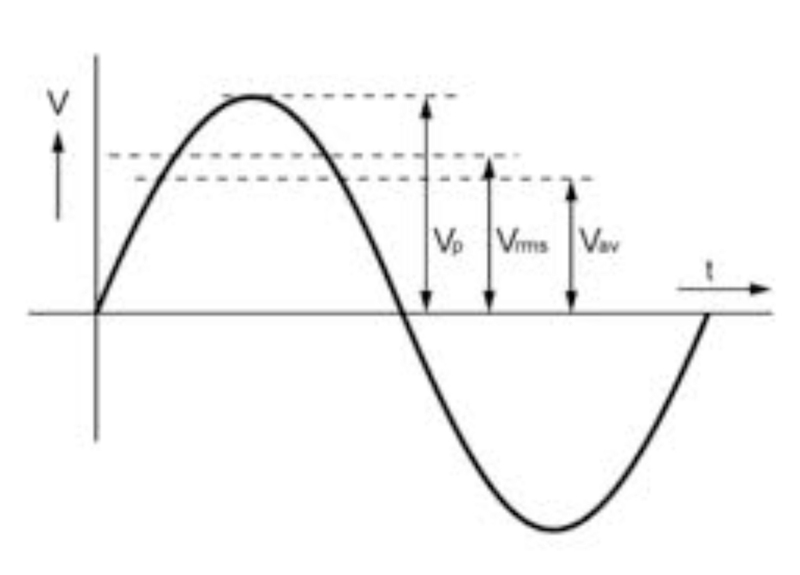 The RMS voltage (Vrms) is almost equivalent to the “average” voltage (Vav) of the sine wave… so why do we need to know this? 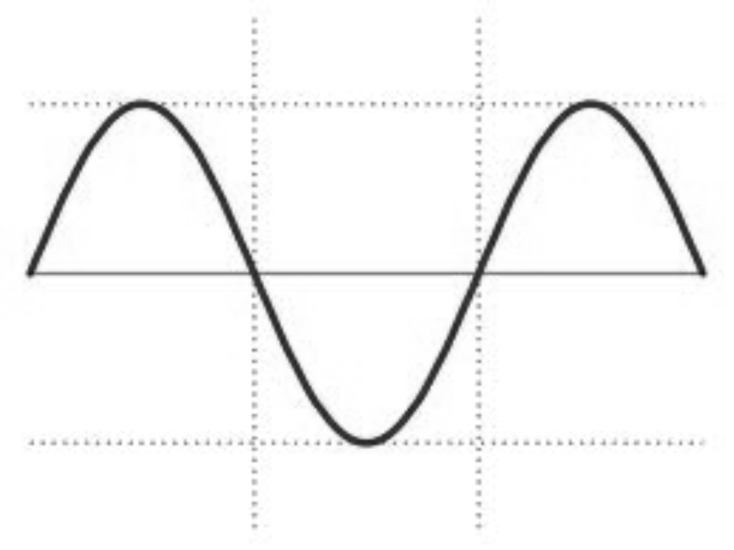 In the days when transformers were used to reduce voltage, sometimes known as “step down” (or increase voltage – step up), the output was always quoted as the RMS Voltage – now without getting too bogged down in the maths , it is all to do with mathematically working out functions of a sine wave – square root and 1/square root, but don’t worry about it. 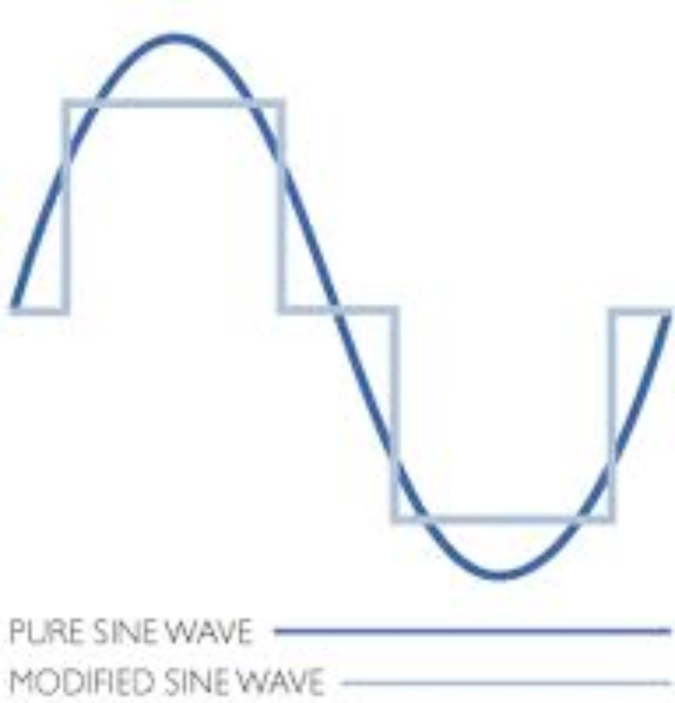 A near perfect sine wave is required for most electronic transformer-less power supplies. The reason is the internal circuits need to “measure” the true peak of the sine wave to adjust the output correctly by using a bit of maths. Why do we use transformer less power supplies? Transformer less units are lighter in weight, and usually cheaper to manufacture and are usually suitable for use world wide over a wide range of operating voltages and frequencies. Its because of this, that they need to be able to measure accurately the voltage that they are connected to in order to give the correct output voltage for the equipment they power. The only way to determine the correct voltage is accurately measure the peak voltage of the sine wave. How do you work out Peak and RMS? Without having to know how to work out square roots, there is a couple of simple calculations you can do and all you have to remember is two numbers. The first calculation works out the RMS voltage form the Peak Voltage. It is worth noting, if you measure an AC voltage using a multimeter, the reading you will get is the RMS voltage, so you need to multiply this by 1.414 to get the peak voltage. As most manufacturers always quote “rated voltage” which is the RMS voltage, its not something you need to remember really. So, now we know a bit more about generators and how they work and some of the issues about using them. How can they be improved? Some generator manufacturers realised that there was a market for small units that didn’t have any of the associated problems, so they came up with the idea of a generator equipped with an alternator that could produce a three phase, high frequency high voltage output and feed this to a box of electronics similar to an inverter, where it is solid state electronics that produce the nice smooth sine wave output at a stable regulated voltage. Electronics can react a whole lot faster than a petrol engine. One of the first companies to recognise that generators need to be improved was Honda. They saw a huge market in the USA where generators are used by householders that have lost their supply from the electricity company due to downed power lines. They produced some of the first generators that could be permanently installed and would run all types of equipment in the home from fridges to TV’s. Soon people were asking about smaller units to be able to take in their mobile homes and Honda produced a portable range of inverter units which in Europe is the EU10i, EU20i and EU30i range. There are other manufacturers out there that produce generators with the same or similar technology, but as I use Honda’s, that is what I can tell you about. One of the most common problems with inverter generators is that of overloading. Nearly all the faults found on Honda’s baby generator, the EU10i are due to them being overloaded. So how do we work out what we can plug in to a generator? Thats still not helping really…. 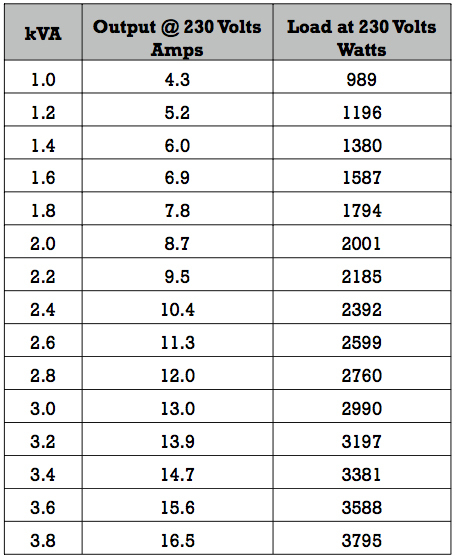 try this to get Amps…. Ahh… thats a bit better, so now we can start to work out what load we can plug in. So we have a generator with a 1.2 kVA rating, what can we plug in? So you can see, its easy to overload a generator. If you wanted one to power everything in your caravan or motorhome exactly as you do using an EHU, you need to look for a generator that is rated at 3.8 kVA or above. One unique feature of the Honda range is the ability to link two identical model generators together to double the output. (This is a feature that was introduced in the early emergency generators for the US market and has been maintained through out the range) As the inverter technology will sense the phase of the sine wave of it’s partner unit, it will compensate it’s phase and timing to match, so effectively “adding” its output to the other unit. WARNING: DO NOT TRY TO CONNECT ANY OTHER GENERATORS TOGETHER OR ANY OTHER GENERATOR TO ONE OF THE HONDA UNITS!!! Honda produce a special lead for this, and only this lead must be used. DO NOT EVER CONSIDER CONNECTING YOUR GENERATOR TO YOUR HOUSE ELECTRICS! Something else you might want to think about is “earthing” or “grounding”. Most generators come with a grounding point on the generator. I usually drive an earthing spike into the ground next to the generator(s) and connect their grounding points to this. I am not sure how effective this is for safety, but, the generator manufacturers say to do this when operating equipment outdoors, and who am I to argue against this. Also, read your caravan or motorhome handbook about using generators. Some caravan or motorhome systems have a reversed polarity light fitted. When running a generator, it may illuminate showing reversed polarity. PLEASE REFER BACK TO THE CARAVAN OR MOTORHOME HANDBOOK FOR ADVICE. I cannot accept any responsibility for anyone doing anything after reading this! Be warned! Please, when using electricity outdoors…STAY SAFE! I use generators on location shoots, specifically the Honda EU range. We have a device that lets us know about reversed polarity and sometimes it flickered, other times it didn’t. Why? Well the answer is if you use a long cable from the generator to the appliance or caravan, the induced voltage in the earth lead running next to the live and neutral in the cable created enough difference in potential between the earth and neutral to allow a tiny current to flow causing the light to flicker. If the lead is kept short, it doesn’t happen as much or will be too dim to see. Generators have a floating earth… that is to say, it is not connected to the neutral. The engine, alternator and metal bits are electrically bonded together along with the earth point on the socket and usually to a brass nut somewhere on the outside for an earth rod to be connected. However, Neutral is not always bonded/strapped to the earth point. The answer is to take the Generator back to the dealer and ask for the neutral to be strapped to the Earth. All the good dealers know about this, and won’t look at you as though you are from another planet when you ask them. I would always advise getting the Generator dealer to do it on the generator, don’t attempt it yourself. I have had mine done and have had no problems running my van or any sensitive equipment off my generator.